Hazelnuts have a slightly sweet flavor. The process of blanching does not diminish their distinctive flavor. Instead, it increases their versatility. Blanching removes the skin from the hazelnut making it more conducive to roasting and to use in a variety of culinary manners. Hazelnuts retain their flavorful individuality when incorporated into recipes. Their crunch and sweetness make them a great snack option. 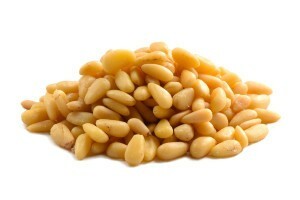 It’s best to buy blanched hazelnuts when you’re planning to use this nut in a recipe. That saves you from having to blanch them yourself to remove the skins. Blanched filberts are a heart healthy food. They can be beneficial in reducing the risk of cancer, especially bladder cancer. They can help the nervous system and digestive system function in an optimum manner and can support bone and skin health. They are gluten-free, sodium-free and cholesterol-free. Raw hazelnuts are a good source of B vitamins which provide energy, support the nervous system and are a key component in relieving stress, anxiety and depression. Raw filberts contain phytosterols which are powerful antioxidants that block the absorption and synthesis of bad cholesterol and increase good cholesterol. This helps prevent various heart-related diseases. 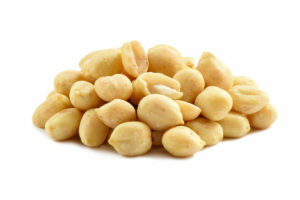 Blanched hazelnuts are rich in unsaturated fats which is another factor that makes them a heart-healthy food. Almost everyone is interested in ways to prevent premature aging of the skin. This nut contains a high amount of vitamin E that protects the skin against ultraviolet radiation that can damage the skin and cause cancer. It is considered to be a beneficial dietary choice for post-menopausal women because of the high percentage of manganese it provides. Manganese is a mineral necessary for bone strength and growth. Ingredients: Hazelnuts. Product of Turkey or USA. Made hazelnut brittle with a dark chocolate and crushed hazelnut topping. Also great to snack on! I really love these. Going to try and make my own Nutella and see how that works out. Four minutes in the microwave and they are toasted to perfection. My favorite snack! First time getting them blanched. I’ve been buying them with the skin on and taking them off after roasting. So much easier and quicker this way. I can get straight to eating them! These were extremely good. I like to just eat them right out of the bag. I will be buying more and the price is right.